Certain aspects of World War II remain taboo subjects in France, even among people who were not around at the time. For those of us whose country has not been occupied for hundreds of years, it’s difficult to imagine how divisive the German Occupation was. Communities and families were riven by different loyalties, by self-interest and by the desire simply to keep your head down and survive. These divisions continued long after the fighting was over, and led to often violent recriminations. One of the most divisive actions of the Vichy Government was to establish in 1943 the Service du Travail Obligatoire (STO), the enlistment of young French people as forced labour in Germany. Around 600,000 went in the end. It’s well known that some of those who evaded deportation joined the Resistance (although not as many as is sometimes claimed). Monument to the Maquis d’Ornano, a local Resistance group. Some of their number may have avoided the STO. What is less well known is the reaction to the deportees on their repatriation in 1945. Not collaborators, Résistants, prisoners of war or voluntary workers, their status was ambiguous. I’ve just finished reading Lendemains de Libération by Daniel Crozes. His father was enlisted for the STO but always refused to talk about it afterwards, and so Crozes used contemporary diaries and accounts by others as the basis for his novel. I don’t think his books are translated into English, so you’d have to read it in French. The story concerns a young man who returns to Aveyron in 1945, having spent two gruelling years in an Austrian munitions factory. His father refused to pull strings to prevent his deportation. In 1945 he experiences hostility from some of his fellow Aveyronnais, who accuse him of collaboration. The novel follows his fight for recognition and rehabilitation. The STO followed an earlier scheme of 1942, la Relève, by which French workers were encouraged to volunteer for work in Germany in exchange for French prisoners of war. Three workers equalled one POW in theory. In practice, fewer workers than expected were recruited (around 60,000) and the scheme was considered a failure. By late 1942, German workers were drafted into the Wehrmacht to fight on the Eastern Front, which was swallowing up manpower. Under pressure from Fritz Sauckel, “the slave master of Europe”, who was responsible for labour deployment, French Prime Minister Pierre Laval drew up a law enacted in February 1943, requiring French people over 20 to be subject to the STO. In the first wave, those born between 1920 and 1922 were required to go to Germany. Sauckel’s demands for labour became increasingly heavy during 1943, but his quotas were never achieved because of evasion by potential conscripts. Far from achieving its ends, the STO served to turn public opinion against the Vichy regime. By the end of 1944, around two million French people were in Germany. They included about 1.2 million prisoners of war, 600,000 STO workers and around 40,000 people who had voluntarily gone there to work. In our département, Tarn-et-Garonne, there is evidence of violence against returning STO workers, especially against women. Most of the deportees were men, but women were not excluded from the STO. A report I found stated that the préfet had to take special measures to protect women from violence by arresting them on their arrival at the station. Two female returning deportees in Moissac had their heads shaved. The problem was that some people made no distinction between those who went voluntarily to work in Germany and those who were constrained to do so. They were treated indiscriminately as traitors and “collabos”. In any case, some of the volunteers went because they could not find work in France or lived in poverty. Monsieur C., a neighbour who died about 15 years ago, might have been deported to Germany under the STO. Apparently, having been “liberated” by the Russians, he didn’t return to France for several years after World War II. He would now have been around 98, which would make him of the age group eligible for the STO. I wonder what sort of reception he encountered on his return. Few people are around who would remember and they might not wish to talk about it. Monsieur C’s house. Was he an STO worker? In the complex and highly-charged post-war situation, there was plenty of settling of scores, legitimately or not. The returning STO workers were dropped into this poisoned atmosphere. There were sinners as well as saints among them, I’m sure, but they had to wait until 2008 to achieve official recognition as “victimes de travail forcé en Allemagne nazie” (victims of forced labour in Nazi Germany). In a short post, I can’t hope to capture the nuances of this intricate and sensitive subject, but I have resolved to find out more about it. This entry was posted in History, World War I & II and tagged Daniel Crozes, forced labour, French resistance, Fritz Sauckel, Lendemains de Libération, Pierre Laval, Service du Travail Obligatoire, SW France, Vichy France, World War II. Bookmark the permalink. How interesting and something I was not aware of. You are right that, certainly in close-knit villages, there is a reluctance to talk about those times and even today there were two brothers and their families not far from where I am who continued their feud down the years. When they inherited jointly their parents house they split it exactly down the middle blocking off walls and dividing windows. Even the front door which is pretty wide was sawn down the middle and rehung to create two separate entrances. Makes you think what would have happened if the UK had been invaded? That’s an interesting story. I remember a Maigret story about two sisters who did the same thing, although their argument was not about wartime loyalties. Certainly the stuff of novels, but it does show how long these feuds can continue. I imagine that every country that is occupied must experience similar things. Thankyou so much for the very interesting WW2 article Vanessa, i has no idea Septfonds has such a history, only ever related it’s past to hats ! Must try and find a copy of the film you mention too. I must admit I was woefully ignorant of Septfonds’ history until I read a book about the camp. I still have not visited the site of the camp itself, although I spent some time at the Spanish Cemetery. The hats tend to overshadow other things – although even they were appropriated by Caussade! Vanessa, I always look forward to your very interesting articles about France in World War 2. Always relevant but particularly at present when I read that Poland is having difficulties in dealing with a unclear past in reconciling resistance v collaboration. Very easy to judge but I often wonder what would have happened if Britain was occupied and I am sure a similar complex picture would have arisen. 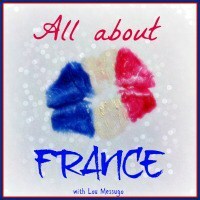 I thought of you when I wrote this post, because I remembered your interest in WWII France. I’m sure that a similar pattern emerges in any occupied country. The problem is that, as WWII gets further away, the myths build up and it becomes more difficult to separate truth from fiction. I’d like to do some more research on the history of the STO, since I have only been able to scratch the surface. Thank you for your kind words about my efforts. Vanessa,thank you for taking the trouble to reply. I am looking forward to my trip to France later this year staying near Montcuq(I know I gave to be careful how I pronounce that!) Hopefully I shall discover some historical events to investigate.I was wondering if you have done any research into the activities of the Militia in your area? I know that they were particularly despised by many French people. Last year I visited Mayenne (much further north than you of course) but mention it as I had the good fortune to visit a wonderful little museum dedicated to the people of that immediate area who suffered at the hands of the Nazis.Extremely poignant as some meticulous research had resulted in a small description of each person and often a picture which always I find means so much more than just a name. Another place which I’m sure you would find extremely interesting is Murat in the Auvergne where the Nazis deported many of the local residents following the killing of a SS officer ambushed in the town by resistance fighters. I really enjoy reading your articles on all subjects French but you are absolutely right that my real passion is this fascinating period of history. I feel very honoured you remembered me. Thanks again for your kind words, Stuart. I haven’t done any work specifically on the Milice, but of course it crops up in everything you read about Vichy France. That, and the STO, did a lot to turn public opinion against the regime. A friend, whose family lived down here during the war when he was a boy, said that a bus they were on was stopped and searched by the Milice, and the fear and aversion were palpable. You might find the Resistance Museum in Cahors of interest, although everything is in French. There is one in Montauban as well, although I haven’t yet visited it. Yes, we know Murat, having spent a lot of time walking in the area. I have a French book about the Resistance in Cantal, but haven’t had a chance to read it yet. Enjoy your holiday in Montcuq (yes, I know!). In the meantime, I will find more WWII subjects. This is fascinating…. I had no idea of the difficulties facing the STOs when they were repatriated. I must find this book and can guarantee it will be of interest to my husband too. You are do right that it is often hard to get elderly French to speak about their war experiences which in many cases, such as these, is unsurprising though frustrating. Not everyone was hostile to them, of course, but I was surprised to learn that some people thought they had had a cushy life in Germany (and elsewhere in the 3rd Reich) while people in France suffered from shortages and repression. Conditions for the STO workers during their deportation varied widely, but some of them suffered from malnutrition, dysentery, TB, all the conditions that go with poor and meagre food and overwork. I have seen that a couple of non-fiction books have come out in the past decade and I must get hold of them. I suppose it was inevitable that rumors would fly and fiction would overtake fact … back home people were suffering in every way at the hands of their repressors and sadly that sort of hardship can be a breeding ground for Chinese whispers and urban myth, suspicion and fantasy. In today’s communications society, when info can be beamed around the globe in a matter of seconds, it’s easy to forget that people in occupied France – and even after the liberation – had very limited access to information about what was going on. And no doubt there was plenty of fake news 1940s style. Fake news is certainly nothing new …. Fascinating story – I’ll have to see if I can find the book! You should be able to. It’s on Amazon (UK and Fr) and, as he’s a French author, you might find it in bookshops. It’s in paperback as well as Kindle. Mon grand-père a été enrôlé dans le STO. C’était en Champagne. Il n’était certainement pas volontaire et encore moins favorable aux Nazis ! Je n’ai pas entendu dire qu’il avait été mal accueilli à son retour. Je demanderai à ma mère la prochaine fois que je la rencontrerai. Quoi qu’il en soit, merci beaucoup pour cet article, Vanessa. Je serais très intéressée de savoir l’expérience de votre grand-père dès son retour en France. Il est clair que les réactions des français à ceux qui revenaient du STO étaient ambiguës et il est possible qu’elles soient différentes selon l’endroit. Je suis sure, aussi, que le sujet est beaucoup plus nuancé que j’ai pu communiquer dans un court article. La fin de la guerre était vraiment un moment difficile à vivre pour beaucoup de français après le délire de la libération. Je n’ai jamais entendu mon grand père parler de sa déportation. En revanche, ma mère peut encore me dire comment il a été accueilli dans son village à son retour. À bientôt, Vanessa.